Avon Material Supplies are able to supply bulk bags, which can be filled with various DIY and construction aggregates such as manufactured top soil alternative, building sand, all in ballast and gravel. 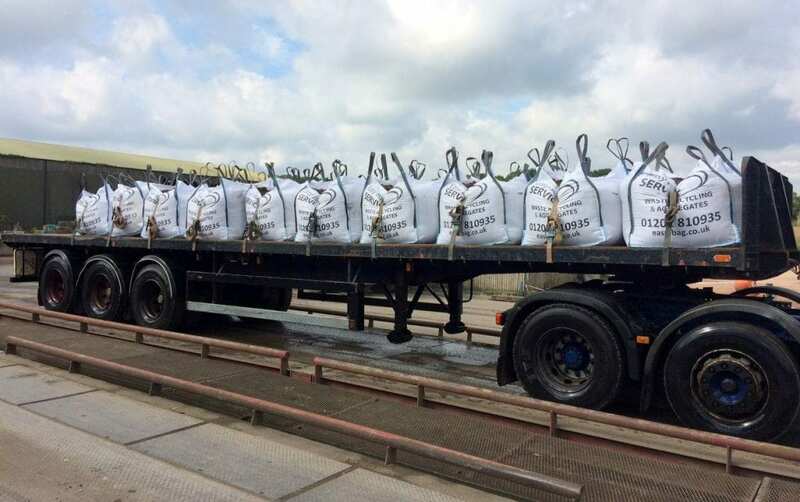 Our bulk bags can be filled with primary and recycled aggregates. Filled bulk bags can be delivered across the BH postcode area or collected from Canford Recycling Centre in Wimborne, Dorset. Businesses and individuals in and around Poole and Bournemouth can buy any of the following bagged aggregates from Avon Material Supplies. Aggregates can be supplied to homes, businesses and sites throughout the BH postcode area. Did you know we offer a hippo bag alternative waste collection service? In addition to aggregate bagging, Avon Material Supplies also offers a hippo bag alternative service for people who require small waste collections in the BH post code area. To learn more please visit: easy-bag.co.uk or call 01202 810938. Would you prefer delivery or collection?